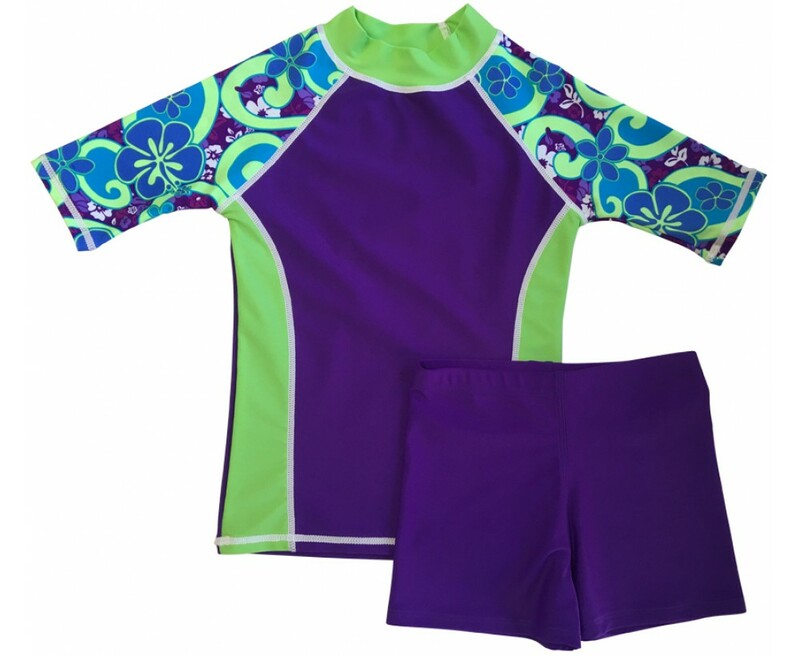 Ba da da da da da da feelin grUVy… This purple groove rashguard and matching purple shorts will guarantee she is pool ready and fashionably UV protected. Our unique design, fashioned with quality fabric, is both stylish and functional for any beachfront or poolside activity. Your grUVy girl can get full UV protection, be fashionable and comfortable too! 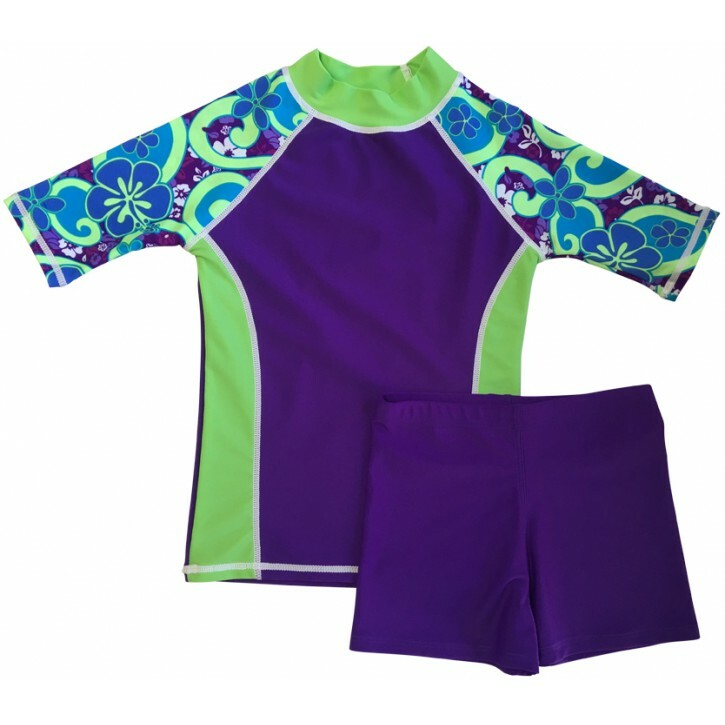 Our Purple Groove Short Sleeve Short Set offers excellent UPF 50+ SUN protection and is fun to wear. Comfortable, non binding, short shorts with 4-way stretch and elastic waistband make for a secure fit. Shirts are designed to fit SNUG so if you want a looser fit order the next size up. Please consult size chart..